Nice! Personally I think I won’t ever tire of the magic that is HSTs. Possibly mixed with squares. The design options are endless. 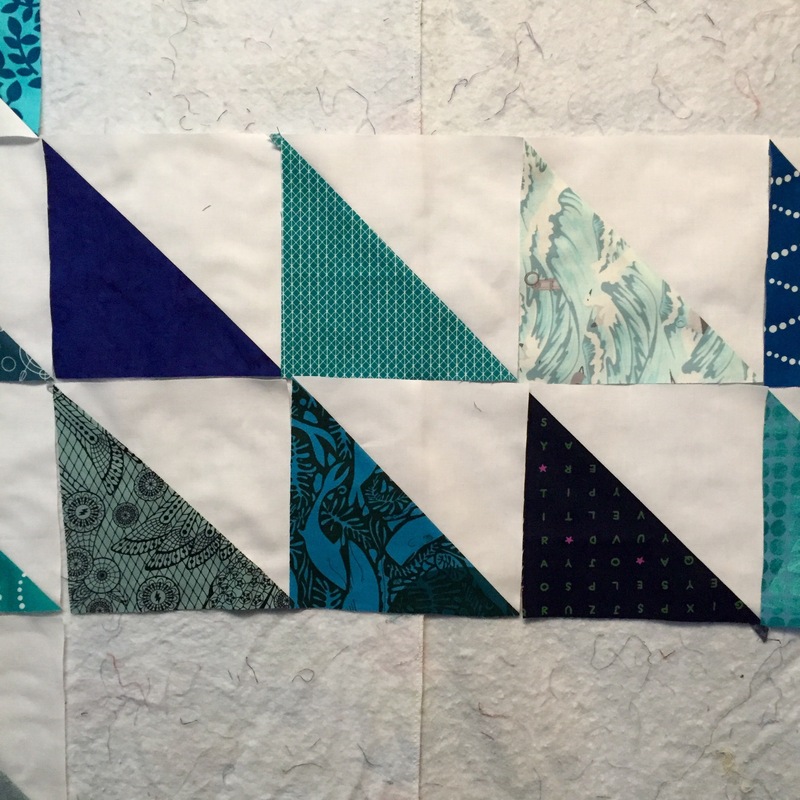 This fabric will make a gorgeous quilt…and yes, every baby deserves a quilt! Given the choice I would steal a little quilting time over doing ‘other things’!! Love your fabric pull. Those are some great colors!